Flip a coin. If heads or tails, the defending Pokemon is killed. Flip a coin. 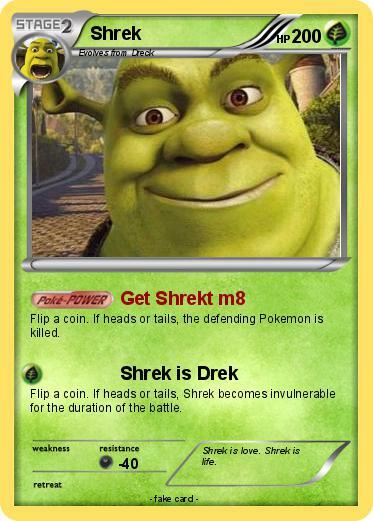 If heads or tails, Shrek becomes invulnerable for the duration of the battle. Comments : Shrek is love. Shrek is life.